Tutorials of converting DRM protected movies on Windows with NoteBurner. 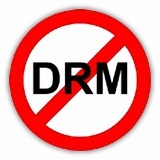 Downloaded movies or TV shows from iTunes but found they are DRM limited and can't be transferred to non-Apple devices, like Samsung tablets, Kindle Fire/HD, HTC, Blackberry, etc? Don't worry. Here you can find all the tips about removing DRM from iTunes movies on Windows platform. This detailed tutorial will guide you how to transfer purchased or rented iTunes movies or TV shows to your new iPhone 6 from iTunes for offline watching. What's more, you will learn an easy way to enjoy your iTunes movies on any other devices you have. • How to watch iTunes movies on Xbox One? This article shows you how to remove DRM protection from iTunes movies and play them on Xbox One. This article mainly tells you the easiest way to put 1080p iTunes M4V movie to Android devices with NoteBurner M4V Converter for Windows. Sync songs from iTunes to Google Play is capable, but no success on movies. This article will supply an efficacious solution to upload both songs and movies to Google for enjoyment. • How to use iTunes Movie in Windows Movie Maker? Can I edit iTunes movie with Windows Movie Maker? How to do that? If you have the questions, you can find answers in this article. In this article, you will learn not only how to transfer itunes music to sd card directly, but also how to remove DRM protection and convert iTunes M4V movie to sd card with the help of NoteBurner M4V Converter Plus. This article will simply provide introductions about iTunes 12 and how to import rented and purchased movies to non-Apple devices from iTunes 12. In this instruction, you can share your iTunes media files to all your friends and family memebers by Onedrive with the best DRM removal tool - NoteBurner M4V Converter Plus. If you want to put iTunes M4V movies to Xbox 360 for playing, NoteBurner iTunes M4V to Xbox 360 converter is the best choice for you. This article guide you to put iTunes M4V movies to Samsung Galaxy Note 3 with NoteBurner M4V Converter for Windows. Step by Step guide for Windows users to remove DRM from iTunes TV shows and convert the TV episodes to Android devices for watching.